Within archaeology, natural sciences and material analyses for the creation of a so-called geochemical finger print of objects are gaining importance, for example for the estimation of the provenance of various wares (origin of the raw material, the half-finished or finished product). A method that has proven to be reliable for the determination of the elementary composition is the x-ray fluorenscence analysis (xRFA). So far, samples of the investigated objects have been analyzed in a laboratory. Lately, the use of portable x-ray fluorescene analysis devices that allow a destruction free and quick examination outside of a laboratory, has been increasing, in addition to the still necessary traditional lab analyses. By this, another way of conducting investigations in the field, conservation, restauration and analysis can be added. Examinable objects include for example: metal artefacts, fayence, glass, pottery (various wares and pigments), stone (also sediment samples), frescos, mosaics and all kinds of inorganic building materials. 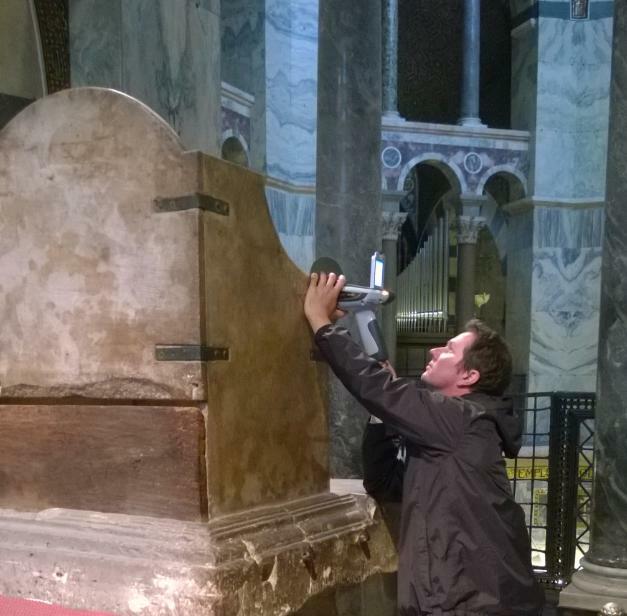 Since 2013 a portable x-ray fluorescene analyzer of the modell Niton XL3 Hybrid by Thermo Scienfic, has been accessible to the Archaeological Institute. Another device of the same sort is used in cooperation with the Centre d’Études Alexandrines in Alexandria. 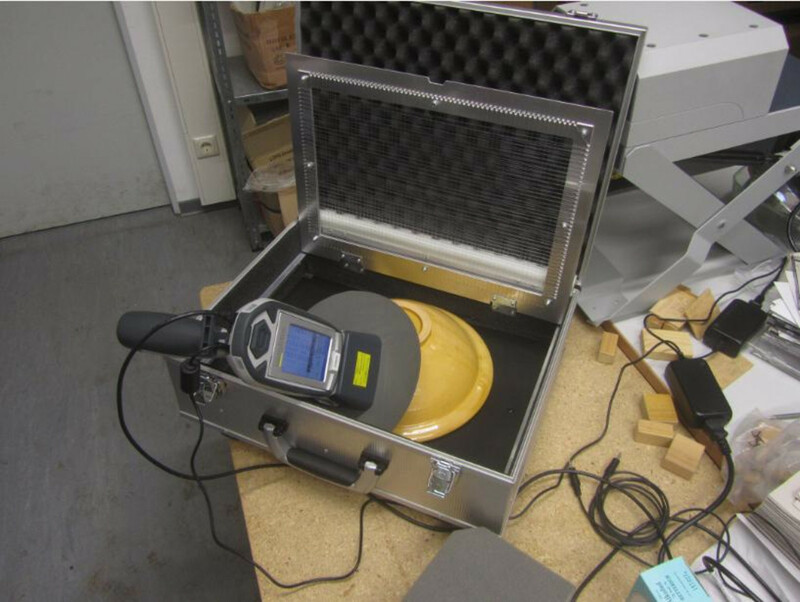 A mobile sample chamber, a portable radiation protection case with lead shield, a protective cover and device stand with a telescopic arm for measurements in the field and/or the museum are parts of the accessories. Especially for the analysis of pottery, a polarization microscope for the examination of thin sections and a strong reflective light microscope are available. Frequent exercises and training seminars are offered to students, graduates and researchers that teach the basic principles of pRFA and radiation protection as well as the possibilities and limitations of the method. The main part consists of practical measurements of various materials, documentation, processing and interpretation. The Archaeological Institute works closely with the Research Center for Ceramics at the Institute of Archaeological Sciences of the University of Frankfurt. The devices used in both institutions are similarly calibrated in order to ensure the exchange and comparability of the results.